Blaise Pascal was a French mathematician, inventor, writer, physicist and religious scholar. He was born on 19th June 1623 in Clermont–Ferrand. His father, Etienne Pascal, was a tax collector and his mother, Antoinette Bagon died when he was only three years old. Pascal’s father decided to move to Paris and raise the children himself. He found Pascal’s growing interest and aptitude in mathematics extraordinary and got him a copy of Euclid, who was a great Greek mathematician. When he was fourteen, Pascal accompanied his father to the meetings of Mersenne who was a part of the Minims, a religious order. By the time he was sixteen he wrote and presented a paper written by him which contained many projective geometry theorems such as the well-known ‘Pascal’s mystic hexagon’. In 1639 the Pascal family moved to Rouen where Pascal wrote his first essay on ‘Conic Sections’. He invented the first digital calculator after working on it for three years. He named it the ‘Pascaline’. His invention was displayed in two museums` in Paris and Germany. Due to an accident that his father had, Pascal underwent some spiritual changes and his faith in religion increased deeply after he was taken care of by two members of a religious party. Meanwhile Pascal worked on various theories including that of the atmospheric pressure. He worked a great deal in ‘hydrodynamics’ and ‘hydrostatics. One of his inventions besides the Pascal’s calculator was the hydraulic press and the syringe. He proved the existence of vacuum above the atmosphere. Pascal had a great influence on mathematics. ‘Pascal’s triangle’ (1953) and ‘Pascal’s theorems’ are two examples of the many influences that Pascal made to this field. Pascal was inspired by his friend who had a big interest in gambling and introduced the concept of probability and the idea of expected value was presented. One of the major contributions of Pascal includes his textbook written for a school ‘Petites-Ecoles de Port-Royal’. It was ‘De l’Esprit géométrique’ which means ‘Of the Geometrical Spirit’. This work of his was however published a century after his death. He worked around the idea in the ‘De l’Esprit géométrique’ on the theory of definition. Looking deeply into geometric axiomatic method he also wrote ‘De L’Art De Persuader’ (The Art of Persuasion). It was Pascal’s work on ‘binomial coefficients’ that guided Newton to discover the binomial theorem. In 1661 when T.S Elliot suppressed the Jansenist movement at Port Royal, Pascal as an answer wrote his last work, ‘Écrit sur la signature du formulaire’ (Writ on the Signing of the Form) encouraging the Jansenists not to give up in their movement. His last main accomplishment was another mechanical prodigy and that was initiating the first bus line that moved passengers through the city in a carriage. Pascal’s illness had started from 1659 but he never paid much attention to his ailing health. In 1662 his state worsened and he was taken to the hospital but the doctors gave in to his severely unstable condition. He suffered from tuberculosis, stomach cancer and brain damage. 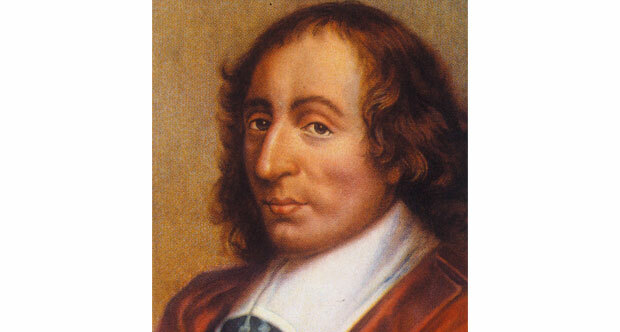 Pascal died on 19th August 1662 in Paris. Honoring his immense scientific contributions the SI unit of pressure is named Pascal as well as to a programing language. Pascal’s Law is another example of the respect he has earned in the scientific world.